Mr. Uezu was born in Chatan-cho, Okinawa in 1950. He has been conscious of his psychic abilities since his childhood; also, he was aware of the fact that human beings are not sustained by foods and their lives will never die. In 1965, he moved to Argentina with his family where his grandfather relocated earlier. A year later, all family members except for Mr. Uezu went back to Okinawa. 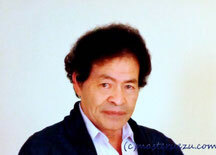 He remained in Argentina alone until 1972 and then went back to Japan at the age of 22. When he tried meditation for the first time, he was led by the inner voice and reached the same state of consciousness as Buddha realizing “I am the universe” and Jesus realizing “the father, son and sprit is one”. Since then, he continued to engage in the overnight meditations at Cape Maeda in a search for truth and became completely awaken. 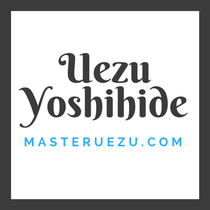 Mr. Uezu and his family have been residing in Yamanashi prefecture since 1988. He gives lectures, meditation guidance and individual healings without letup for 365 days. There were many participants from overseas at the meditation session held in Okinawa in April 2007, and there are requests for overseas seminars constantly.